This series makes a representative selection of the best and most exciting work in fields where standard textbooks have not yet been published. Located across the full range of Africanist humanities and social sciences, the series emphasises newly emerging fields and fields that cross disciplinary boundaries. Each book published in the series includes materials from journals, books, as well as newly commissioned essays from Africanist scholars based on all continents. Guiding introductory sections make a significant contribution in their own right as they survey new methods and theories, recent developments, and contemporary issues and problems for readers who are newly acquainted with Africanist scholarship. All regions of sub-Saharan Africa are considered in each volume. ‘The series is published for the IAI by James Currey Publishers, part of the Boydell & Brewer Group; and by Indiana University Press. For other details about the series please contact sk111[AT]soas.ac.uk. 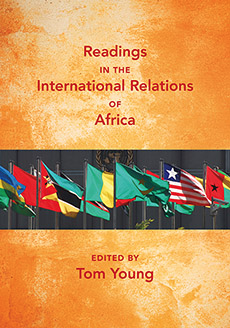 These readings in international relations in Africa grapple with the continent’s changing place in the world. The essays confront issues such as the increasing tempo of armed conflict, the tendency of Western states and agencies to intervene in African settings, the presence of China, and the health of African states and their ability to participate in the global economy. Questions regarding sovereignty, leading regional actors, conflict and resolution, and the neoliberal African renaissance, add to the broad thematic coverage presented in this timely volume. 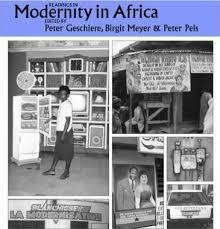 Scholars have felt the urgency to understand modernity in present-day Africa, and have tried to make sense of these desires to ‘develop’. Yet, people often regard ‘modernity’ as an abomination as much as a blessing, and yearn nostalgically for a vanished past. These varied forms of modernity are the focus of this volume. This book brings together existing work in a number of key areas so placing the substantial growth of interdisciplinary teaching and research in African gender studies during the last decades. African gender relations emerge as a key arena of social transformation, which has inspired theoretical insights of global import. 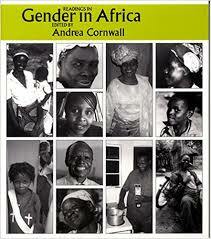 Andrea Cornwall is a research fellow at the Institute of Development Studies, University of Sussex. 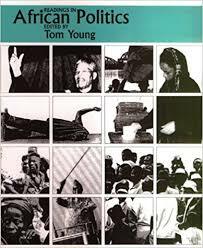 This overview volume represents core knowledge in the field of African politics. Topic areas covered are: methods for appraising the modern African state, approaches to understanding African states and their politics, dimensions of regional conflict, conflict between traditional and modern values, the politics of new social forces, and the meaning of contemporary trends. Tom Young is Senior Lecturer in the Department of Politics at the School of Oriental and African Studies at the University of London. This rich and intelligently conceived anthology challenges the paradigms taken for granted in postcolonial studies, and demonstrates that ‘subaltern voices’ so often assumed to be silent or suppressed can be heard loud and clear if one cares to locate oneself outside Western academies and networks. ‘…forces a reconsideration of the idea of “African literature”. -Eileen Julien, Indiana University. Stephanie Newell is Lecturer in English and Convenor of MA in Colonial and Postcolonial Studies at the University of Sussex. 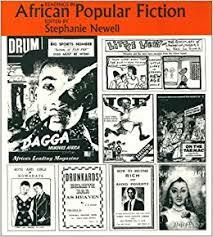 ‘…a critical testament of African popular culture. I strongly recommend it to readers and libraries.’ Tanure Ojaide in African Studies Review. 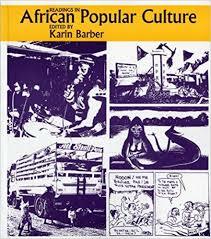 Karin Barber is a professor at the Centre of West African Studies at the University of Birmingham.